All people groups, who either live in a particular region or have similar cultural roots. Peoples are broadly grouped into 16 blocs with affinities based on language, culture, religion, politics. In nearly every Bloc there are widely dissimilar and unrelated linguistic minorities, but often there is one particular culture that is dominant. Affinity Blocs are the top level of the Ethnic Peoples tree and use the Joshua Project code PeopleID1 which is related to the Harvest Information System code ROP1. The caste system is the rigid South Asian structure of hereditary social classes. Caste and social status are determined at birth and cannot be changed. Marriage is restricted to members of one's own caste. The caste system originally had four levels: Brahman - seers (priests, teachers), Kshatriya - administrators (military leaders, business owners), Vaisya - producers (skilled craftspersons), and Shoodra - servants (unskilled laborers). Each caste is split into countless sub-castes. "For evangelization purposes, a people group is the largest group within which the Gospel can spread as a church planting movement without encountering barriers of understanding or acceptance." One who professes to be a follower of the Christian religion in any form. This definition is based on the individual's self-confession, not his or her ecclesiology, theology or religious commitment and experience. This includes professing and affiliated adults and also their children (practicing and non-practicing) who reside in a given area or country, or who are of a particular ethno-linguistic or ethno-cultural people. This is the broadest possible classification of Christian and includes the six ecclesiological types of Christians: Protestant, Roman Catholic, Other Catholic, Orthodox, Foreign marginal, Indigenous marginal as defined in Operation World. Professing Christian numbers include the Evangelicals subset. As a movement, a Church Planting Movement occurs with rapid increases in new church starts. Saturation church planting over decades and even centuries is good, but doesn’t qualify as a Church Planting Movement. This means that the increase in churches is not simply incremental growth—adding a few churches every year or so. Instead, it compounds with two churches becoming four, four churches becoming eight to 10 and so forth. Multiplicative increase is only possible when new churches are being started by the churches themselves–rather than by professional church planters or missionaries. This means they are generated from within rather than from without. This is not to say that the gospel is able to spring up intuitively within a people group. The gospel always enters a people group from the outside; this is the task of the missionary. However, in a Church Planting Movement the momentum quickly becomes indigenous so that the initiative and drive of the movement comes from within the people group rather than from outsiders. A coding mechanism developed by the World Christian Database for classifying people groups. Consists of six characters with each column having a specific meaning. An example is the Tajik with culture code CNT24g. Groupings of individuals based primarily on ethnic or community boundaries. One ethnic group may speak any number of languages, because (a) many individuals are multi-lingual, and (b) language spoken often varies by location of the individuals in the group. Assumes the acceptance barrier is higher than the understandability barrier. For the related article about how people groups are defined, click here. The Ethnic People model is most appropriate for church planting and discipleship, but not highly appropriate for language-based outreaches. This approach is most needed in South Asia, where the caste system has produced strong community boundaries. For the related article about caste defining people groups (also called communities) in South Asia, click here. A hierachical structure classifying people groups. It is a four level tree structure starting with 17 Affinity Blocs, branching to 254 People Clusters, then to 10,255 People Groups and finally to 17,073 Peoples-by-Country. Groupings of individuals based primarily on language spoken, but with the possibility of sub-divisions based upon dialect or cultural distinctives. Using this method, one language group equals one or more ethnic groups. This assumes that the "understandability barrier" to the gospel message is higher than the "acceptance barrier." For the related article about how people groups are defined, click here. The Ethno-linguistic people group model is appropriate for language-based out reaches of various kinds. It is more appropriate for church planting / discipleship than a strictly linguistic / language group approach, because it recognizes understandability and acceptance barriers that a strictly language-based approach may not. However the Ethno-linguistic approach is less appropriate for church planting / discipleship activity when the acceptance barrier is higher than the understandability barrier. 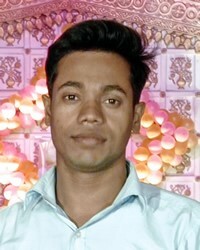 The Ethno-linguistic people group model is appropriate in most of the world, outside of the South Asian countries of India, Pakistan, Bangladesh, Nepal and Sri Lanka. The Lord Jesus Christ as the sole source of salvation through faith in Him. Personal faith and conversion with regeneration by the Holy Spirit. A recognition of the inspired Word of God as the only basis for faith and living. Commitment to Biblical preaching and evangelism that brings others to faith in Christ. All affiliated Christians (church members, their children, etc.) of denominations that are evangelical in theology as defined above. The proportion of the affiliated Christians in other denominations (that are not wholly evangelical in theology) who would hold evangelical views. The proportion of affiliated Christians in denominations in non-Western nations (where doctrinal positions are less well defined) that would be regarded as Evangelicals by those in the above categories. This is a theological and not an experiential definition. It does not mean that all Evangelicals as defined above are actually born-again. In many nations only 10-40% of Evangelicals so defined may have had a valid conversion and also regularly attend church services. However, it does show how many people align themselves with churches where the gospel is being proclaimed. The Global Status of Evangelical Christianity, developed by PeopleGroups.org, is a model that describes the progress of the Gospel among the peoples of the world by considering: 1. The extent to which a people group is Evangelical . 2. Accessibility to the Gospel. 3. Church planting activity, whether localized or widespread, within the past 2 years. The cooperative network of registry stewards and their combined information resources collected into the Harvest Information System database. For official Harvest Information System (HIS) Registry data, codes and categories, please visit the Harvest Information System website. Gross Domestic Product: Standard of living, as measured by real GDP per capita (PPP$). “Well established, multi-generational community” within a country, as the Ethnologue uses this phrase to identify indigenous languages. Joshua Project primarily uses language-spoken to identify indigenous people groups in each country. If the language is considered to be indigenous, the people group speaking the language is usually regarded as indigenous to the country. In many cases, it is not at all clear as to whether a people group should be considered indigenous. Joshua Project provides a “first cut” approximation of this category for each country. Users of these markings should evaluate our markings according to their own needs and priorities. Our desire is that these indigenous / non-indigenous markings will stimulate thought as to whether indigenous people groups should be ministered to differently than those that are non-indigenous. Please contact us if you have suggestions or updates. Groupings of individuals entirely according to language spoken. One language group equals one ethnic group, using this method. This grouping of individuals is appropriate for language-based outreaches (literature distributions, radio, recordings, etc.) Also appropriate for church planting / discipleship in many cases, but not all cases. For the related article about how people groups are defined, click here. A seven level church development progress scale used extensively in Central America. Without knowledge of the Gospel - There is no known person who has heard the Gospel. Knowledge of the Gospel - There is access to the Gospel but there are no converts to Christanity. There may or may not be missionary presence. Some converts, but no church gathering - There are some converts to Christianity but they are not congregating. There may or may not be missionary presence. 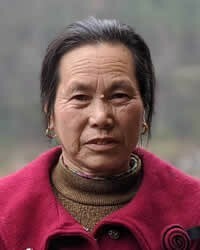 These peoples are considered unreached and require a cross-cultural missionary effort. Church in birth - There is a small fellowship of believers that meets regularly. Church in moderate maturity - The church has at least 4 of the qualities that make a mature church (see #7 below) These are still considered unreached because they are not fully maturity. Mature Church - This people's church is considered reached, and has all of the following 5 qualities: * Self-reproducing * Self-governing * Self-sustaining * Culturally contextual * There exists a translation of the whole New Testament and some portions of the Old Testament. Within each Affinity Bloc are a number of more closely related peoples which, for strategic purposes, may be clustered together. These relationships are often based on a common identity of language and name but sometimes on the basis of culture, religion, economy, or dominance of one group over another. Almost all People Clusters have total populations of over one million. It is likely that each People Cluster will need an international partnership of Christian churches and agencies for the effective evangelization of each constituent people group. People Clusters are the second level of the hierarchical Ethnic Peoples tree and use the Joshua Project code PeopleID2 which is related to the Harvest Information System code ROP2. A significantly large grouping of individuals who perceive themselves to have a common affinity with one another. "For evangelization purposes, a people group is the largest group within which the Gospel can spread as a church planting movement without encountering barriers of understanding or acceptance." In many parts of the world lack of understandability serves as the main barrier and it is appropriate to define people groups primarily by language with the possibility of sub-divisions based on dialect or cultural variations. In other parts of the world, most notably in portions of South Asia, acceptance is a greater barrier than understandability. In these regions, caste, religious tradition, location, common histories and legends, plus language may be used to define the boundaries of each people group. How Many Peoples are There? Source: 1982 Lausanne Committee Chicago meeting and Joshua Project. This counts a people group for each country it lives in. 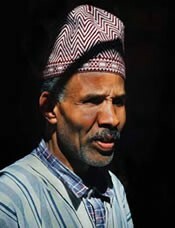 For example, the Tatar live in approximately 21 countries primarily in Central Asia. They would be counted 21 times. The total number of peoples-by-country is the most common answer to the question "How many people groups are there?" Global People group databases have traditionally been Peoples-by-Country lists. Peoples-by-Country are the fourth level of the hierarchical Ethnic Peoples tree and use a combination of Harvest Information System people code ROP3 and country code ROG3. Open Doors International ranking of persecution of Christians by country. The top 50 countries are ranked (1 = highest level of persecution) based on World Watch questionnaire. The questionnaire contains 49 questions covering various aspects of religious freedom, differentiating between the legal, official status of Christians and the actual situation. Attention is paid to the role of the church in society and the current situation facing individual Christians. Factors that may obstruct the freedom of religion in a country are also taken into account. The aim of the list is to paint a realistic picture of religious persecution in a country. A point value is assigned depending on how each question is answered. The total of points per country determines its position on the World Watch List. Areas without significant persecution do not have a ranking. May be referred to alternatively as Majority / Minority languages. If significant numbers of individuals within one people group speak language A as their main language, and other individuals speak language B as their main language, Joshua Project marks the language with the most speakers (sometimes an estimate) as the Primary language for the entire people group. Other languages spoken are marked as Secondary languages. 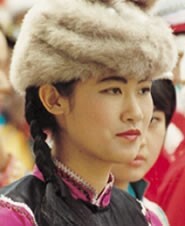 Note that a language marked as Secondary for the entire people group may in fact be the main language for certain individuals. In South Asia each people group may speak dozens of languages, and understanding what we mean by primary and secondary languages is essential. Note that marking languages as primary and secondary does not refer directly to the degree of bi-lingualism in a people group, although it implies bi-lingualism is occurring. The religion with the greatest number of adherents in this people group. Usually more than half the people group follow this religion, but not always. The Joshua Project Progress Scale provides an estimate of the progress of church planting among a people group, people cluster, country or language. Clicking the color blocks above any listing will bring up a popup window with Progress Scale descriptions and criteria. The Progress Scale is derived from values for Percent Evangelical and Percent Professing Christian. These are codes for peoples, geographic places and languages that allow key missions information to flow between various sources. Each kind of information is classified in a "registry" and then there are several hierarchical levels with each registry. Codesets are at Harvest Information System website. An unengaged unreached people group (UUPG) has no known active church planting underway. According to the IMB Global Research Office: "A people group is engaged when a church planting strategy, consistent with evangelical faith and practice, is under implementation. In this respect, a people group is not engaged when it has been merely adopted, is the object of focused prayer, or is part of an advocacy strategy." 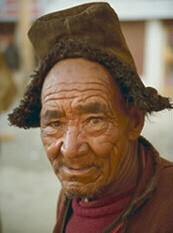 All unengaged unreached people groups (UUPGs) are by definition unreached people groups (UPGs). All unreached people groups (UPGs) are not necessarily unengage; many are engaged. Put another way, UUPGs are a subset of UPGs. 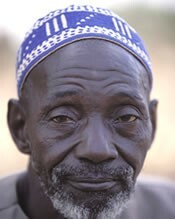 Joshua Project primarily tracks unreached people group (UPG) information. 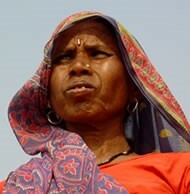 Joshua Project hopes to keep a balanced focus on the many, technically engaged, but still highly unreached people groups. See "Keeping Large Unreached People Groups in Focus". 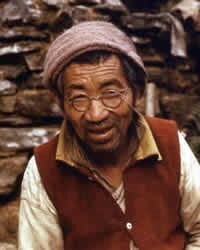 For further information about unengaged unreached people groups, please see Finishing The Task (FTT). Joshua Project works closely with Finishing The Task in support of their mission to highlight unengaged unreached people groups (UUPGs). Joshua Project uses the terms "unreached" and "least-reached" to mean the same thing. The terms are used interchangeably on this website. 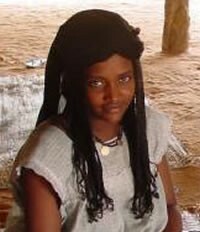 An unreached or least-reached people is a people group among which there is no indigenous community of believing Christians with adequate numbers and resources to evangelize this people group. The original Joshua Project editorial committee selected the criteria less than or equal to 2% Evangelical Christian and less than or equal to 5% Professing Christians. While these percentage figures are somewhat arbitrary, "we should not underestimate the significance of the small group of people who have a vision of a just and gentle world. The quality of a whole culture may be changed when two percent of its people have a new vision." - Robert Bellah, Institute for Advanced Study at Princeton University, originally quote in Psychology Today in the 1970s, currently quoted in Christianity Today Oct 2011: 42. Click here for listing of 100 Largest Unreached People Groups and other least-reached peoples queries. Where there are data gaps, Joshua Project is eager to update our unreached status estimates with hard data. We welcome your feedback.